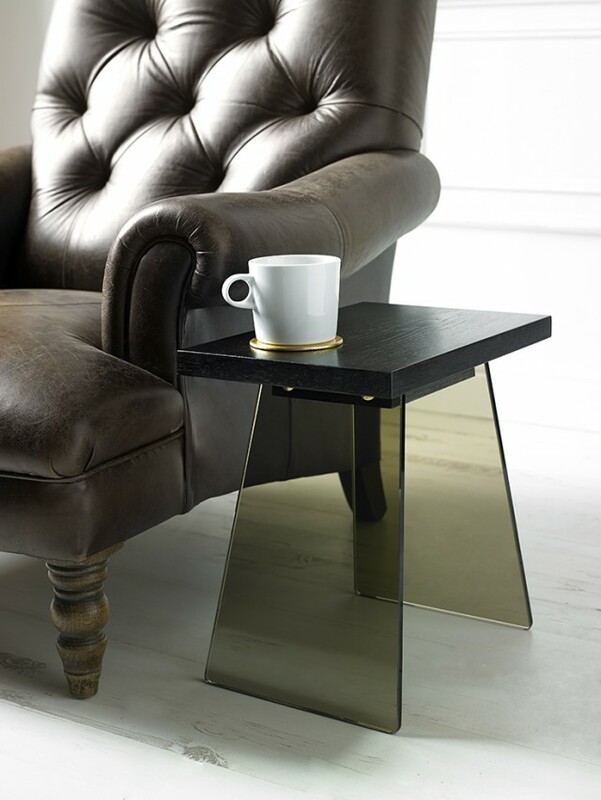 An ideal solution for an end of sofa drinks table. Launched at Clerkenwell Design Week in May 2014 the Vetro design is a great solution for that awkward requirement for a small drinks stable. Visually surprising and structurally robust the design is at once both seeking to be seen and to hide. 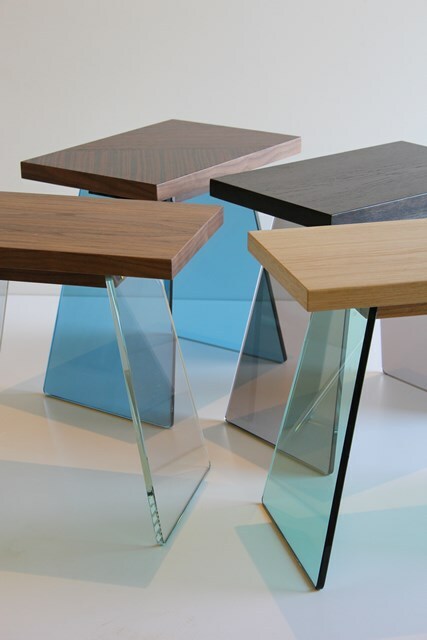 The 10mm thick toughened glass legs are very tough indeed and are robustly fitted to the underside of the table. The tables come in a range of options allowing the customer to customise their Vetro table. The top can be made with oak, walnut or faux macassar veneers laid either as a straight veneer or with different directions. 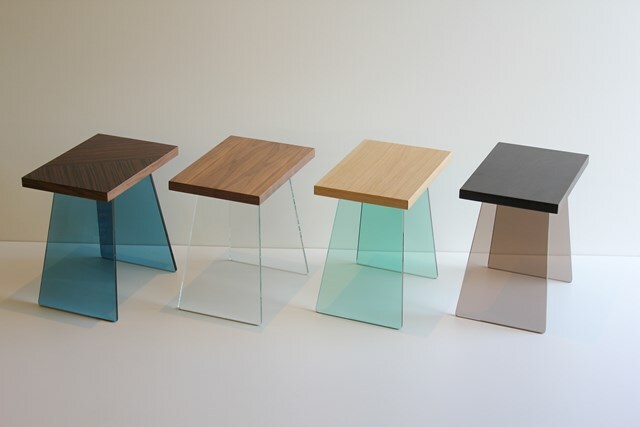 The legs are made from either clear or tinted glass. Retail price is £250 and £30 delivery.